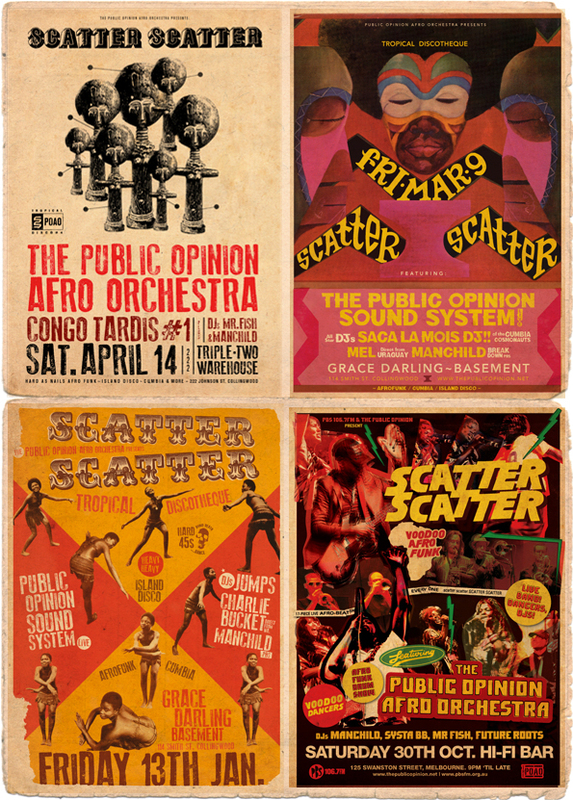 Scatter Scatter #4 is heating up to be the biggest yet, featuring The Public Opinion Afro Orchestra, Congo Tardis # 1 and Mr. Fish. Get your scatter on. Saturday April 14 at 222 Warehouse Fitzroy.